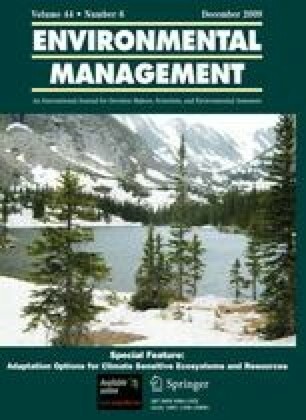 Participatory modeling is increasingly recognized as an effective way to assist collective decision-making processes in the domain of natural resource management. This article introduces a framework for evaluating projects that have adopted a participatory modeling approach. This evaluation framework—known as the “Protocol of Canberra”—was developed through a collaboration between French and Australian researchers engaged in participatory modeling and evaluation research. The framework seeks to assess the extent to which different participatory modeling initiatives not only modify perceptions among and interactions between participants, but also contribute to collective decision-making. The article discusses the development of the framework and it’s application to three case-studies, two from Australia and one from the Pacific Island of the Republic of Kiribati. The article concludes with some comments for future use of the framework in a range of participatory modeling contexts. This research was supported by CIRAD (France) and CSIRO-CSS (Australia). The evaluation framework and case studies are part of an international project called ADD-ComMod, led by INRA (France) and funded by the Agence Nationale de Recherche (France). Thanks to Russell Goddard for facilitating the Catalyst study evaluation, Pieter Bots for assistance with Fig. 1, and Rachel Williams and Kostas Alexandridis for helpful comments on the draft manuscript. Thank you especially to the participants and project teams of the case studies, who gave their time to complete the evaluation procedures.